Do you ever visit a blog and go: 'Wow! What a great look! I wonder what theme she's using? I do! If you find yourself admiring a blog's look and you want to know what theme or template that blogger is using there are 3 ways of finding out! Scroll down to the footer: often you'll find the name of the theme at the bottom of a blog. Use your browser to go to the 'page source'. You'll see a lot of scary code, but if you search for 'theme' you can find the name of the theme. But the option that's the most fun to determine a Wordpress theme is What Wordpress Theme Is That? You simply enter the url of the blog you want to find out more about, click on 'Submit site' and there you have it! All the info about the theme you could want. And as an added bonus there's also info about the plugins that blogger is using. Let's try this at home! Let's try these methods shall we?! 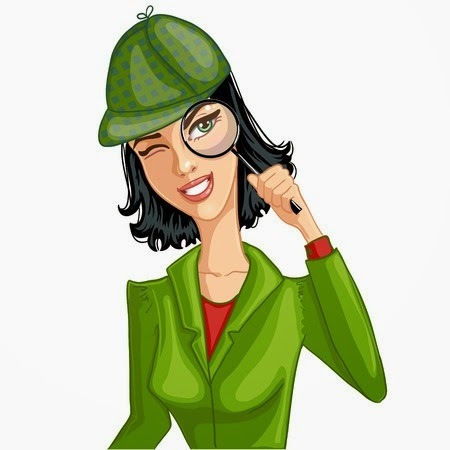 We'll do some detective work on the popular mom blog Dooce! Alrighty! I've surfed to Dooce.com and I'm scrolling down to the footer, but no dice. There's no mentioning of a theme. So let's move on to the second method. I used Safari to get to the source code of Dooce.com. And yep I found the theme! It's Hybrid. A free Wordpress theme. Which just goes to show you don't have to invest lots of money to become a wildly popular blogger. Even though I already know the theme, I still want to use this method. Because it's the most fun. And also because I'm curious about the plugins that Heather Armstrong is using. Like I said: I'm curious about the plugins. As it turns out Heather is using only 2 plugins! And not even the Yoast SEO plugin! Wow. I suppose less is really more! Which blog theme do you really admire?! This post is so timely for me. I am in the midst of many decisions for my WordPress blog, one of which is what theme should I use. I am always trying to figure that out, look at the bottom of the blog, and if it doesn't tell me, then I figure "oh well" and go on my way. Thanks so much for giving us this information. I am going to play with it.